What is a digital pattern? My digital sewing patterns are PDF files that will be delivered to you via e-mail after you complete the checkout process. You will receive several pages of detailed instructions, with photos and illustrations. You will also receive several tiled pattern pages to tape together and cut out. PDF is a common file format used to share documents. You must have Adobe Reader installed on your computer to open the pattern files. You can download Adobe Reader for free. Click on the links (the white underlined text below) provided in the e-mail to download each file. The file will be in your download folder. Open the files and save them to a permanent folder. You must print the pattern pages and tape them together. The pattern instructions include a diagram and instructions for easy assembly. I didn’t get my pattern file! Occasionally, e-mails will be sorted into your spam folder. Please check there first. 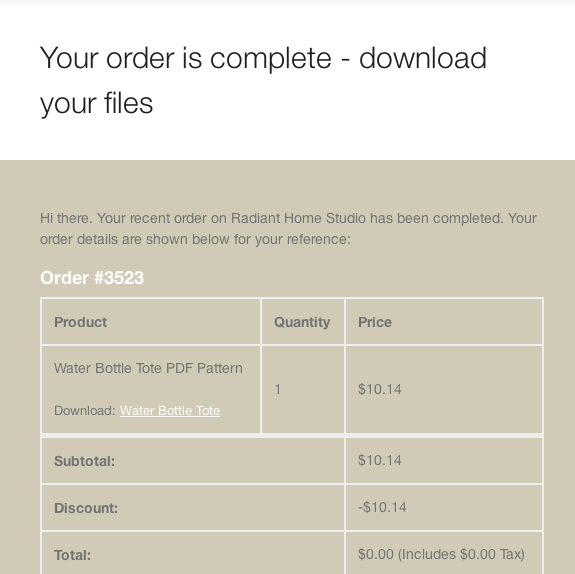 If you haven’t received your pattern within an hour, send me an e-mail (sara at radianthomestudio.com) and I will manually resend the pattern file to you. My pattern isn’t printing at the correct size. Make sure that your print settings are correct before printing. Check the box that says “actual size” or “100%” and not “shrink to fit” or “fit to page”. 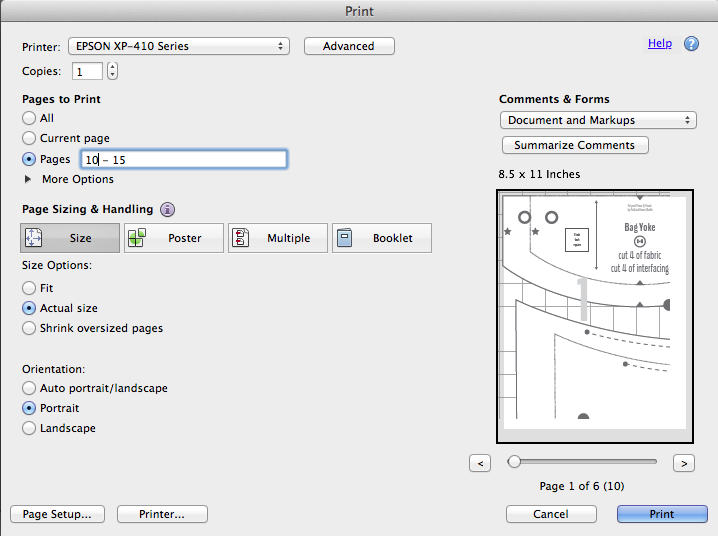 You can print the first page of the pattern to test your settings, before printing the entire pattern. All pattern pages include a 1-inch square grid that you can measure with a ruler to verify the correct scaling. Do you have paper patterns? I currently offer digital patterns only. Paper patterns cost more to print and ship. Digital patterns allow me to provide you patterns at a reasonable cost and are more sustainable to produce.